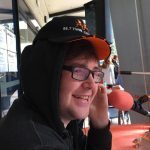 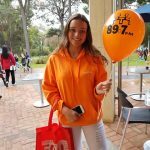 On a wet and blustery day at ECU Joondalup Campus, on the bottom floor of the Building we are situated in (Building 18) some of the best Nightshift presenters hosted a showcase program from 11am til 3pm. 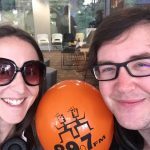 The first 2 hours were hosted by the guys from “Sitcom” Thursday from 6pm. 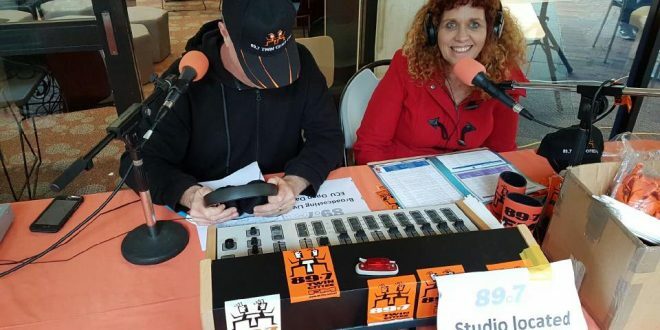 Headline Stand-Up Comedian Sian Choyce and Stage Director Brendan Ellis hosted their first ever Outside Broadcast with typical acidic humour which is that shows trademark. 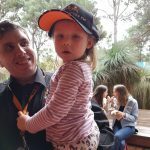 #truthbombs were dropped. 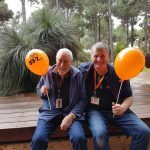 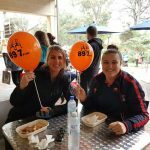 The following 2 hours were hosted by Western.Oz hosts Will & Sandy Marwick took over and carried us through some more cool wintery weather, while Sandy and other volunteers handed out our bright orange balloons and other fun merch from our desk. We hope you guys enjoyed our show as much as we did making it happen for you folks.